Author: Goodman, Joan Elizabeth Set In . . .
"Where Goodman's book shines is the foldout maps and diagrams of the voyages and in the journal entries by Hudson and members of his crew ... When the next group of students with an assignment on explorers descends on the library, have this useful and attractive resource on hand." Beyond the Sea of Ice: The Voyages of Henry Hudson takes readers into a land of impenetrable fog and crushing ice, a mysterious place where lie the dreams of kings, merchants and learned geographers--a passage to the Orient. Sailing small wooden boats well above the Arctic Circle, guided by maps and charts that were based on rumor and hope as much as fact, and surrounded by crews that shared neither his belief nor his commitment, Henry Hudson searched again and again for what was not there. In 1611, his mutinous crew set him adrift on the freezing waters of the bay that would one day bear his name. 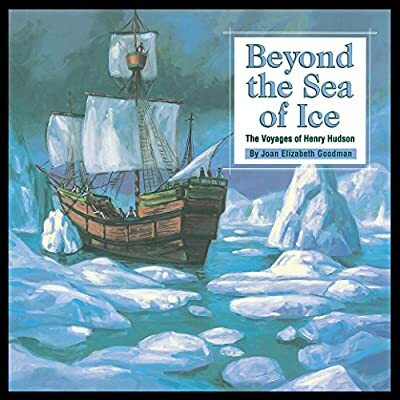 Beyond the Sea of Ice is the story of Henry Hudson's four harrowing voyages of discovery. Bringing the skills of an experienced novelist, Goodman creates an epic narrative of Henry Hudson's passionate quest. Fernando Rangel's paintings capture the icy beauty of the North Atlantic, the lushness of the new world and the cruelty and death that accompanied a doomed voyage of discovery. Actual entries from the journals of each voyage bring the reader directly into life at sea in the 17th century, and Mikaya Press' exclusive gatefold Read-Along Map™ allows the reader to read about the explorer's travels while following them on a map at the same time.